Start the New Year out right!! Paddle/row Beaver Creek, our January tradition. For anybody that does not know this particular Beaver Creek, it is at the new Brian Booth State Park (known as Ona Beach State Park until 2013), 7-miles south of Newport, OR. The geography is unusual in that you can go a couple of miles inland in the fresh-water wet area that is basically not tidal. But, also you can go under the Hwy 101 bridge and wander through the State Park until you see the creek flow into the ocean across the beach. Most of us don't go into the surf, but it is there! During the winter, if a storm is not blowing, the area is usually calm and suitable for family outings. During the summer, the afternoon winds can alter the picture a bit. There is a shallow boat launch area and parking lot on the east side of the highway. 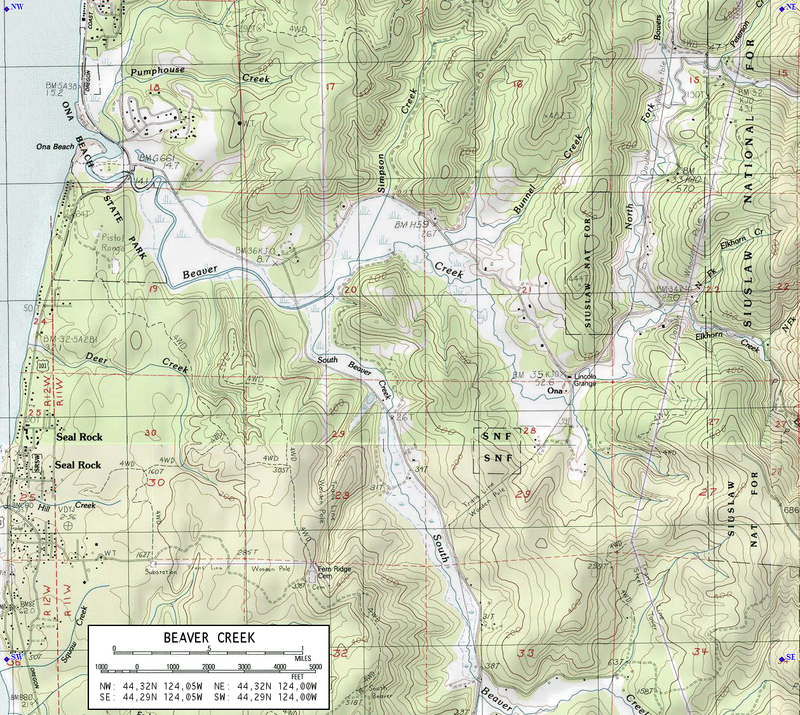 A topo map of Beaver Creek in KAP format for import into most nav programs. A topo map image (PNG) and indexing info (XLS) to import it into nav programs. A NOAA weather forecast for the area. Here are some Photos from last year's messabout. Here's a Photo Essay on the 2015 messabout.